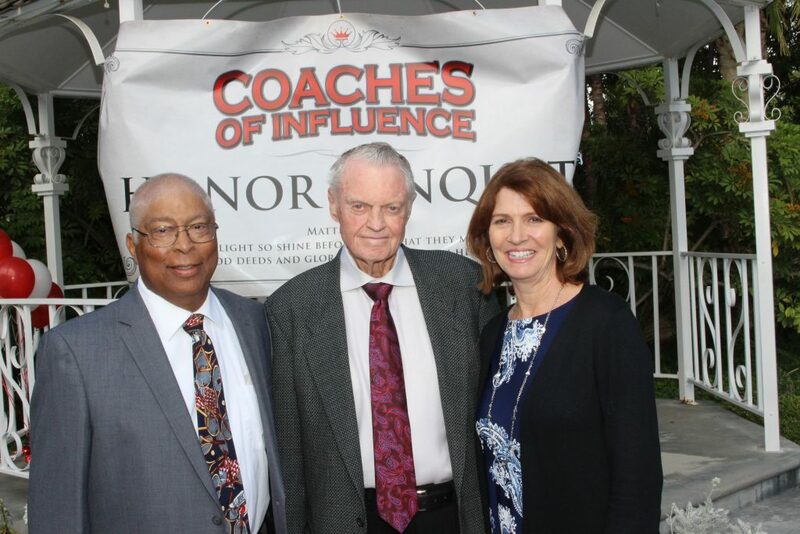 The Coaches of Influence resurrected the Coach Spouse Honor Banquet after almost a decade since the last one. It was a tremendous event, God was glorified, Coaches were honored, Spouses were uplifted, and the Kingdom of God was added to as many gave their lives to Christ. Coach Tom Osborne shared his testimony and truly revealed a life lived to the Lord as he focused entirely on living his life in service to the Lord and glorifying him through his words, actions, and how he lived in his personal, family, and professional life. The coaches who were honored also had many great things shared about them in how they have used the platform of coaching as a foundation to live a life honoring to Christ. Continue your journey as a coach living your life to glorify the Lord in your personal, family, and professional life. If you need support in your journey contact Coaches of Influence and we will help put you in touch with a Coaches Fellowship Group where you can be strengthened and encouraged. You can share your struggles in life, have others who understand you pray for you, care for you, and most important of all support you as you grow in your faith in Christ! Email coin@coincoach.org for more information and to join us!